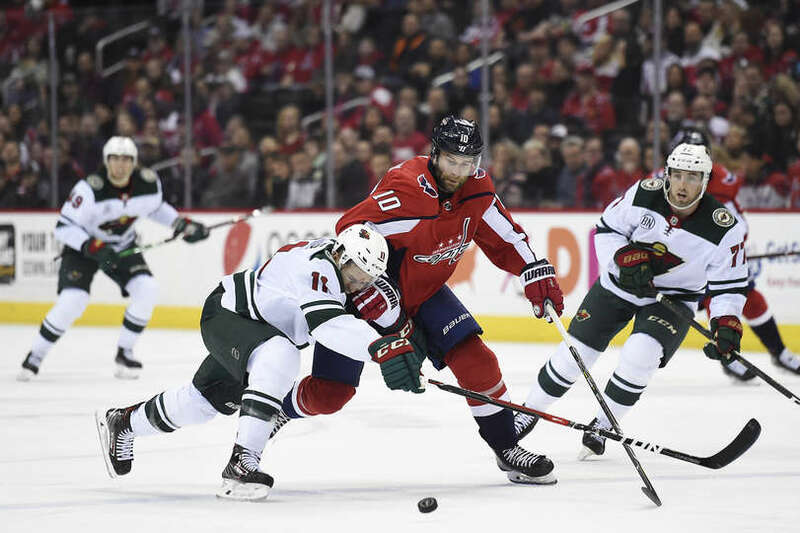 The Minnesota Wild edged the Washington Capitals 2-1 Friday night at Capital One Arena. The loss drops the Capitals record to 43-24-8 (94 points) for the season. The Capitals are back on the ice Sunday afternoon when they host the Philadelphia Flyers at Capital One Arena. Puck drop is 12:30 PM. Scratches: Michal Kempny (lower body), Carl Hagelin (illness) and Dmitrij Jaskin. The Wild would be the first to dent the twine late in the opening frame with a goal from Jordan Greenway at 16:33. And that would be all of the scoring for the first 20 minutes. The Capitals led in shot attempts 13-8 for the first frame. Shots on goal were 6-6 after 20 minutes. The Capitals were 0 for 2 and the Wild 0 for 0 on power play in the first frame. The Capitals would tie the game midway through the middle frame with a re-direct from Brett Connolly at 10:42 of the second period. Nick Jensen and T.J. Oshie were credited with the assists. And that would be all of the scoring in the middle frame. The Wild out-attempted the Capitals 26-14 for the second period. Minnesota led in shots on goal 15-9 for the middle frame. The Capitals were 0 for 3 and the Wild 0 for 1 on the power play after 40 minutes. The Wild would regain the lead with a break away snipe from Luke Kunin at 12:25 of the final frame. That was it. The Wild would win it 2-1. Capitals won the battle at the dot 52-48%. The Wild led in shots on goal 27-22. NHL box score is here. This entry was posted in News and tagged Brett Connolly, Jon Sorensen, Minnesota Wild, Washington Capitals. Bookmark the permalink.